Bada Bing are the new spot for Gentlemen´s. In the Copenhagen Red light District you will find lots of Nightclubs and Stripclubs, but you will only find the Best stripclub and gentlemen´s Club when you visit Bada Bing Copenhagen, we are located right next to well-known hotels like Wake up Copenhagen, D’angleterre, Phønix Copenhagen, Hotel Sanders, Admiral Hotel and many more. 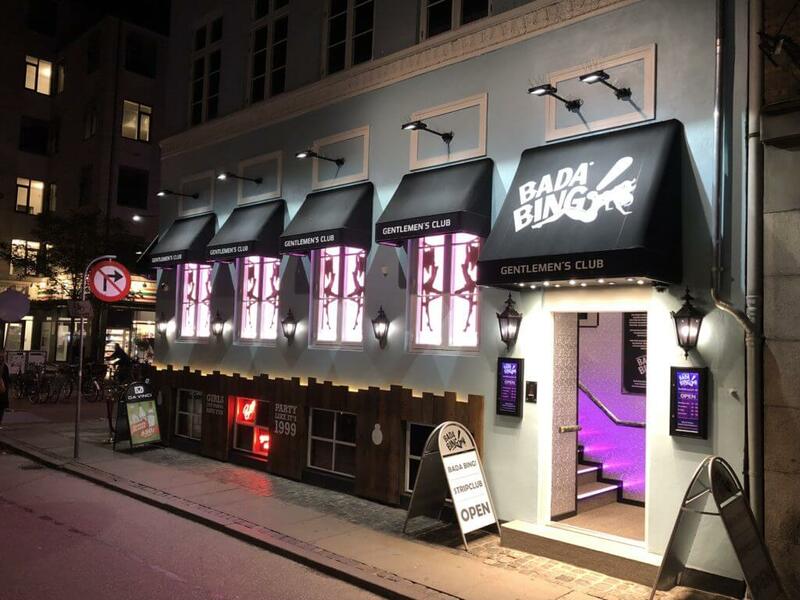 We are not placed in the Copenhagen Red Light District and therefore you can be totally safe when you visit Bada Bing Copenhagen. The Copenhagen Red light District are located around the old meatpacking district, Bada Bing are located in the inner city of Copenhagen, close to the main shopping street and the well-known hotels. We can still offer you the best of Red Light District in Copenhagen, and offer our the best adult entertainment in Copenhagen. We also offer the best and most happy Girls in Copenhagen, and we can offer all service, fell free to contact us to ask about your favorite girl. In Bada Bing you will also find Striptease, Lapdance, Private shows, Private VIP rooms, Lounge and a full stock bar. Nightclub, Bar, Stripclub and Gentlemen´s club – you will find it all in Bada Bing Copenhagen. Feel free to contact us for more information about Copenhagen Red light District.